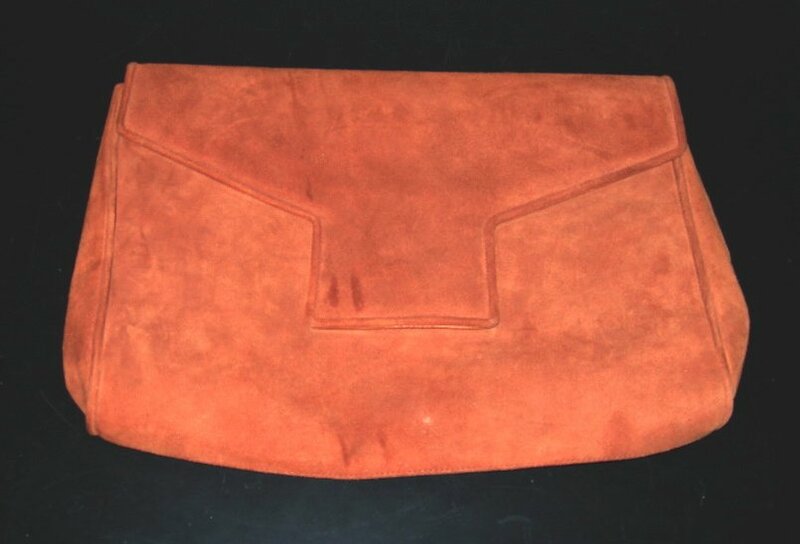 This camel brown suede clutch is lined in soft leather of the same color, with an interior zip pocket, a mirror pocket, and bears the metal tag “Stuart Weitzman Made In Spain;” snap closure on the flap. It measures approximately 13″L x 9″H x 3″D. Original optional shoulder strap is missing.